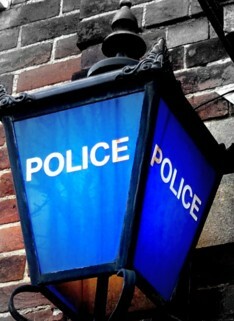 A man has been arrested after woman was threatened while she was out walking her dog in West End. Police are appealing for witnesses following the attempted robbery in Hatch Grange Park, West End on Wednesday March 25. Sometime between 11.30am and 11.50am, a 53 year-old woman was approached and threatened by a man while she was walking on a footpath in the park, between the Chapel Road and Barbe Baker Avenue entrances. The suspect is described as a white man, aged in his 20s, slim build, black hooded top with hood up and orange tassels on hood, cream and beige camouflage trousers and white trainers. He was wearing a white face covering and carrying a white carrier bag. “We are interested in hearing from anyone who recalls witnessing this incident. The woman was wearing a distinctive pink fleecy top and sunglasses, if you remember seeing her or a man fitting the suspect’s description, in the area around that time please call 101. “We would also like to appeal to two members of the public who came to the aid of the victim at that time to urge them both to make contact as soon as possible with police”. Local neighbourhood policing teams are in the area carrying out some house to house enquiries and offering reassurance and advice. Police say a 21 year-old man has been arrested in connection with this incident and is currently assisting them with their enquiries. If you have any information then please contact Western Investigation Team on 101 quoting ref 44150100798, or Crimestoppers on 0800 555 111, where you can leave information anonymously.